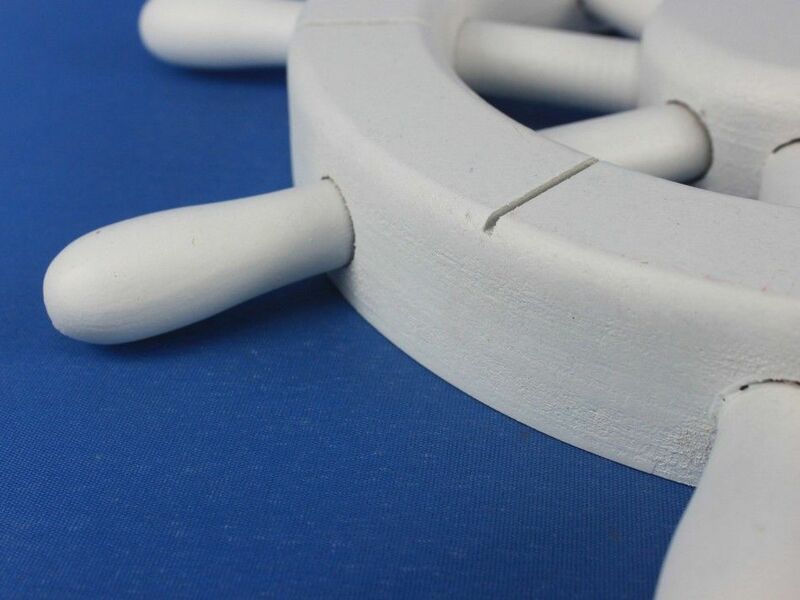 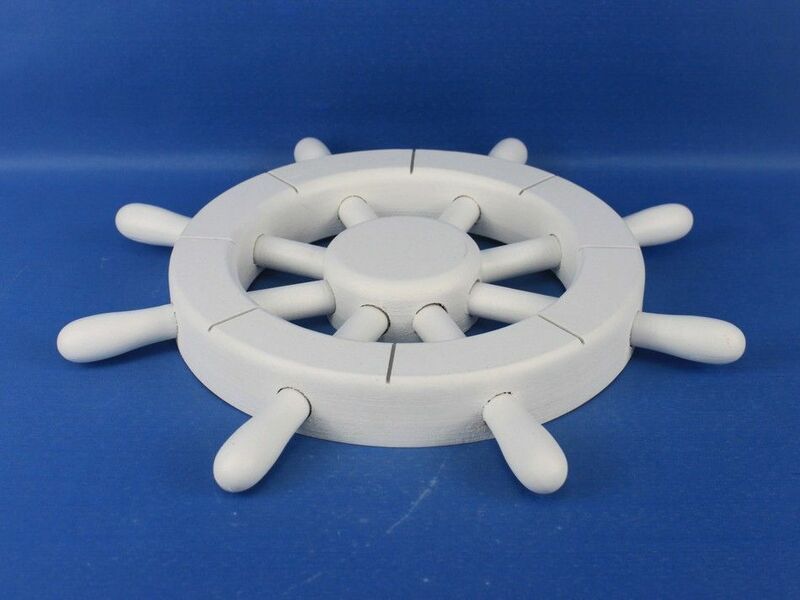 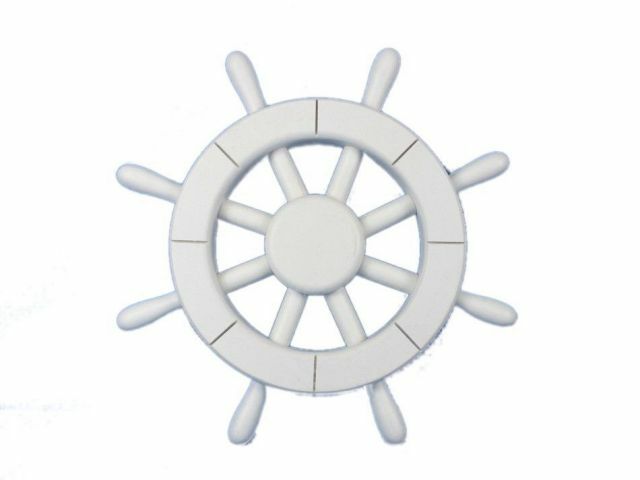 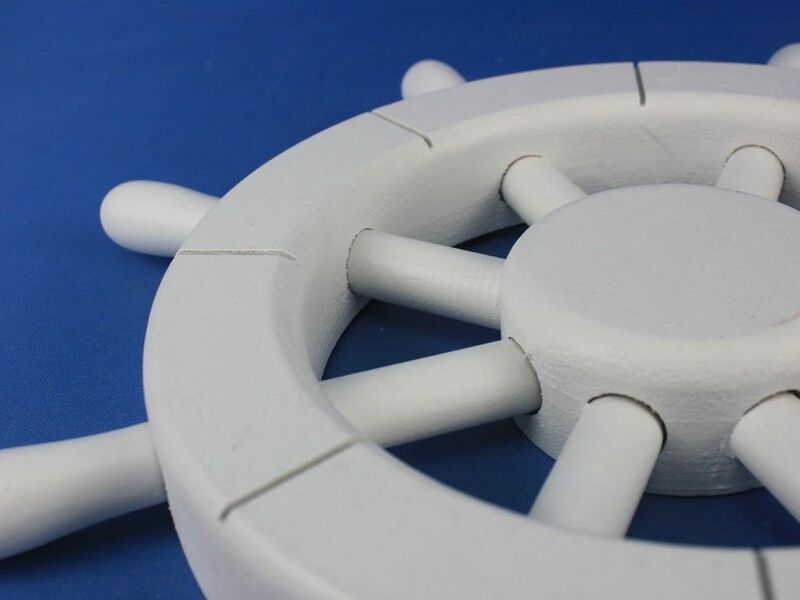 This White Ship Wheel 12" combines a bold finish with quality craftsmanship to make this the perfect nautical wall hanging to accent your home. 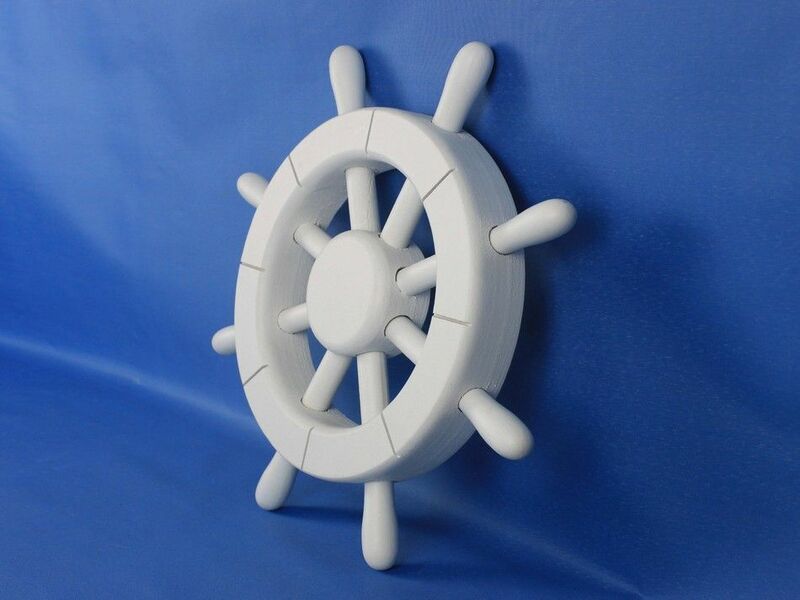 Ideal for those who love vibrant nautical wall art, this beach decor will leave your guests in awe. 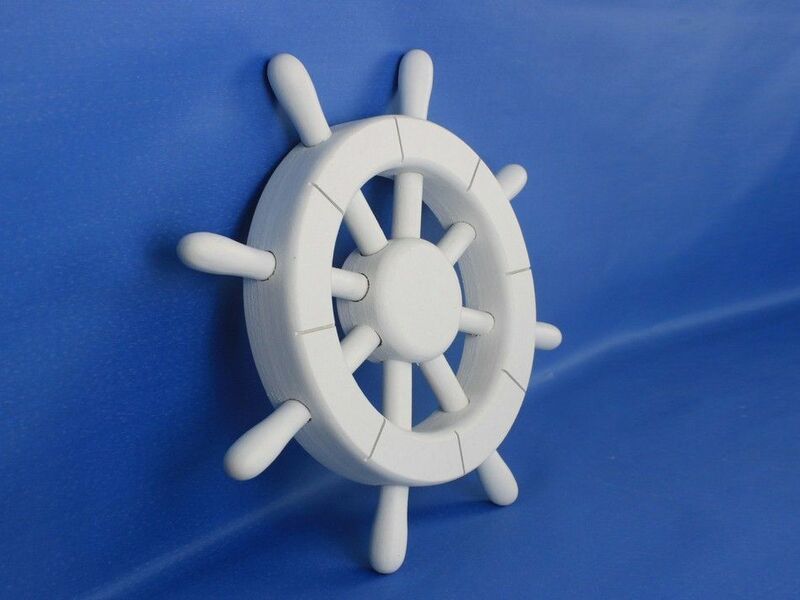 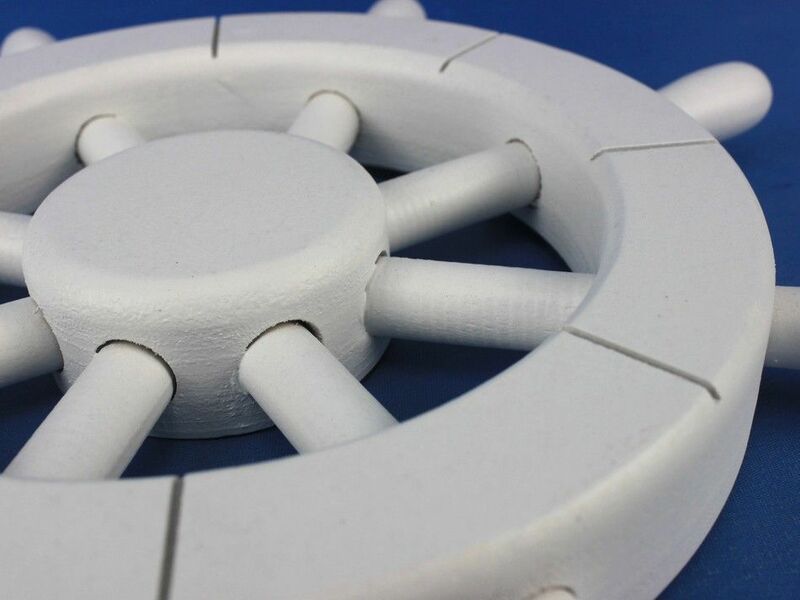 This steering wheel has eight spokes surrounding it and is easily mountable to a wall in need of a beach decoration.